"Will Run for Ice Cream" Run/Walk is July 20! Home › Latest News › "Will Run for Ice Cream" Run/Walk is July 20! The "Will Run For Ice Cream" run is back in 2016 and more fun than ever! Register NOW for this July 20, 2016, event! 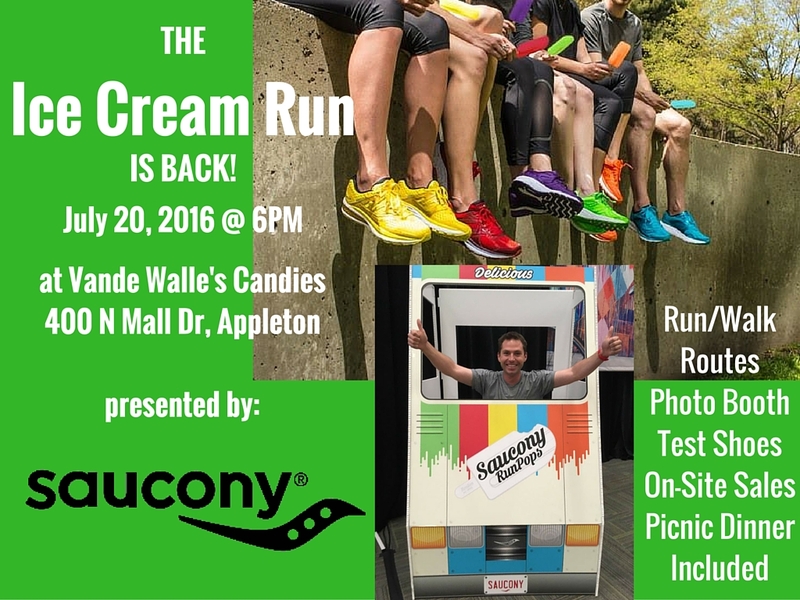 Not Only will there be ice cream, but Saucony test shoes, a selfie station, picnic dinner (complete with..VandeWalle's ice cream! ), LIMITED EDITION Run Pop Saucony shoes available for purchase, and more. Join us! Bring a friend! Bring the kids!